You change the game in the Franco Sarto® Ella heels. Pull-on design with tabs on each side of curved collar. Lightly padded insole offers extra comfort with each step. 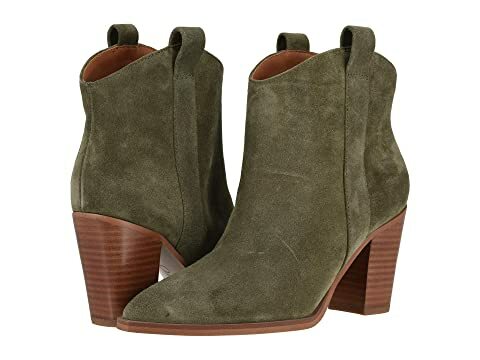 Choice of OLIVE GREEN or BLACK suede.